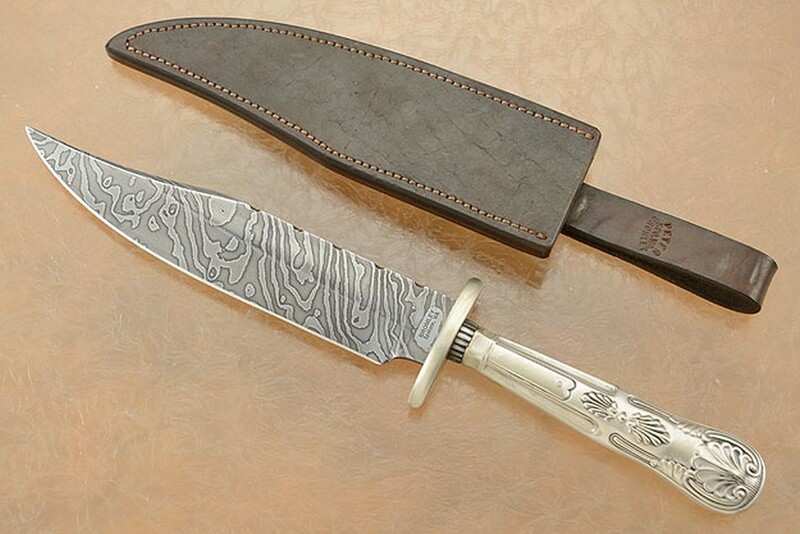 Description: This bowie knife was made by Journeyman Smith Peter Bromley of Spokane, WA. 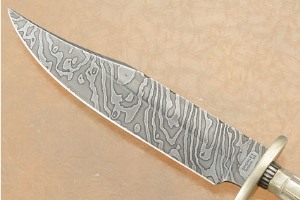 The damascus blade was forged to shape from 1084 and 15N20 carbon steels and features a differential heat treatment. This results in a keen, long lasting edge with a softer, supportive spine. 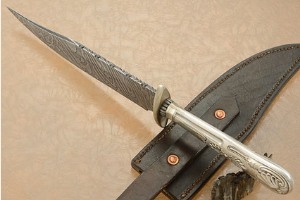 A distal tapered spine means excellent balance. 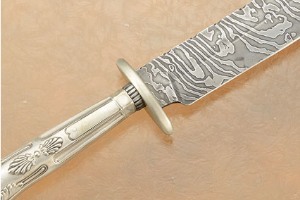 The file worked spine moves into a clip point swedge that is stopped just short of fully sharpened. 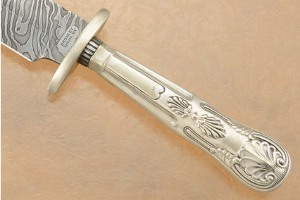 The handle is recovered from an old silver plated cutlery knife. 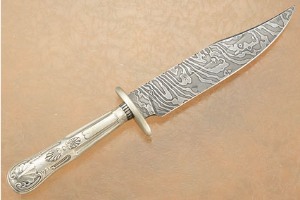 The handle has been nicely polished up and offers an interesting contrast to the damascus blade. This knife includes a hand stitched leather sheath. 0.06201171875 0.06201171875 62.01171875 62.01171875 Header Started. 0.21875 0.03173828125 218.75 31.73828125 Trailer Started. 0.40576171875 0.18701171875 405.76171875 187.01171875 Trailer Completed.